Windows 7 itself comes with various features but it does not have any built-in screen recording feature. Therefore, you can find many software specially developed for this purpose on the internet. However, only when you tried them, can you actually tell which would work as advertised. Besides, you can't 100% assure their reliability which may later harm your PC. Thus, to avoid such a difficult procedure in picking up a better screen recorder to record your desktop on Windows 7, here in this guide, we'll recommend you one of the most advanced video captures for Windows as well as how to easily and losslessly record desktop screen activity with it. Joyoshare Screen Recorder is such a powerful screen recording software we are talking about here. It's easy-to-use and capable of recording any video and audio activity on computer desktop with HD quality under Windows 7 and other Windows OS. 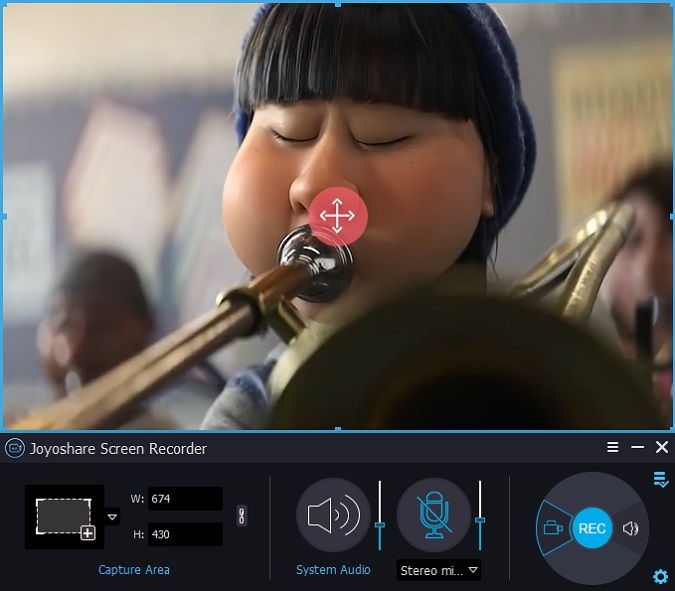 It has the most advanced screen capturing technology which enables you to record and save the screen video in various popular formats and devices, such as MP4, WMV, FLV, SWF, AVI, iPhone, Android, etc. It also allows you to add personalized effects to the recordings with a few clicks only. In addition, it helps in recording any screen activity, including video calls, live-streaming videos, gameplays, streaming music, webcams, etc. It could be your best recording solution to make video tutorials, record favourite music, capture games, and more on Win 7. Now simply follow the guide below to see how to use Joyoshare Screen Recorder to capture screen video with audio in HD quality on Windows 7. The first step is to download Joyoshare Screen Capture on your PC. When the software is downloaded, it should be then installed by opening the downloaded file. The software will run automatically once it is installed properly on your Windows 7. The second step is to set the capture parameters and it can be done by selecting the area that needs to be captured. To do this, simply press the '+' button on the upper left corner. A pop up window will appear from which you can adjust the size that you want to capture. Moreover, the software also provides some ratios i.e. 320x240, 640x480, 1280x720 etc. The third step is to decide whether to record the screen video with audio or without audio. However, to record the video with audio, there are options to record it with microphone or system audio. No matter which kind of audio you want to record, simply click the audio track icon next to the 'REC' button. Moreover, if you want to record the audio only, the software supports saving the recorded audios to all the popular output formats including MP3, AAC, MAV, FLAC, M4A and M4B. The fourth step includes the recording of the desktop video and once you have selected everything according to your need, you can now record desktop screen on windows 7 by clicking the 'REC' button. 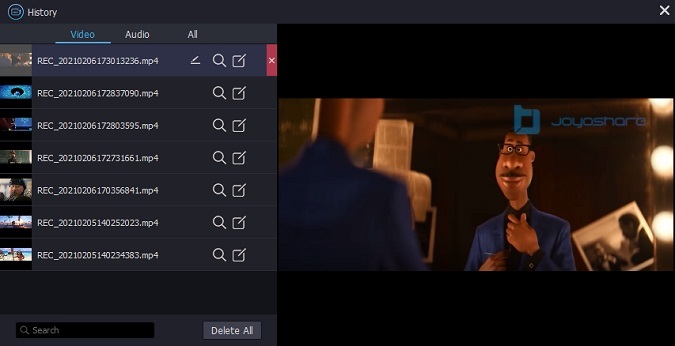 Moreover, you can also capture the screenshots during the recording process by pressing the 'cut' button. The last step is to preview and edit the recorded video. 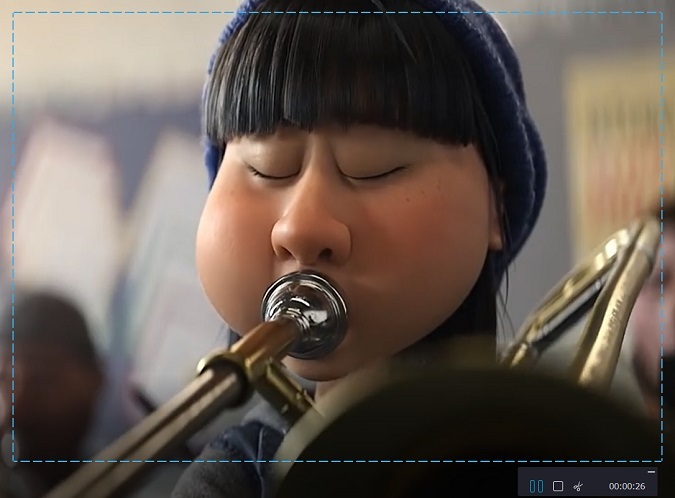 This is an optional step to make the recorded videos look more attractive. The recorded video can be adjusted, cropped and many more. 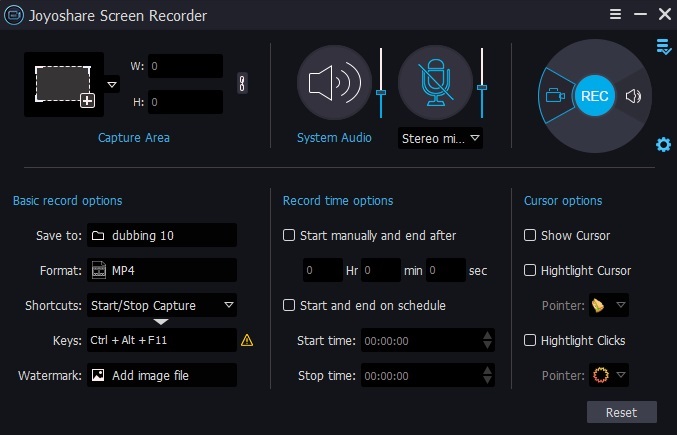 You can save and export the recordings anywhere for later use. In short, Joyoshare Screen Recorder is a reliable and professional video capture tool to record screen activities of Windows 7 in an easiest way.